It's hard to believe our first two festivals of the season have already come and gone! 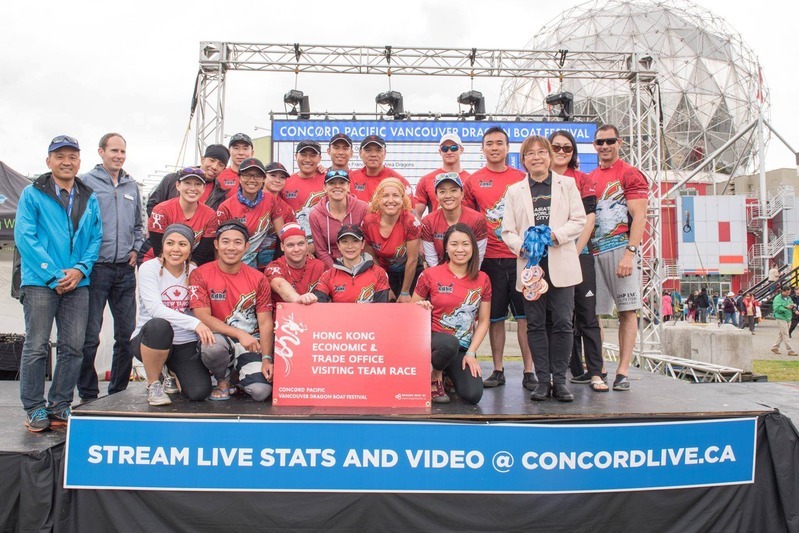 The team headed off to Vancouver from June 18-19 to race against the top teams in Western Canada and the US at the Concord Pacific Vancouver Dragon Boat Festival. The competition there is always tough and it was a great opportunity for members of the competitive crew and some of the club's newer paddlers to experience racing against these top teams. The team did well, paddling through the rain and cold to bring home two medals: a bronze in the Visiting Championship (a nice reward for an 8AM race) and a silver in the Competitive B final, for a 10th place finish overall out of 95 Mixed Division teams. Pretty impressive! Our fastest time of the weekend was 2:05:61, with a crew of 10 women and 10 men. We capped off the weekend with a 10th place finish in the always exciting 2000m Guts & Glory race. In addition to the tough competition, we had an equally tough time deciding which of the many delicious Vancouver restaurants to eat at! Good thing we had all that racing to work it off! All in all, this was a great festival and an awesome way to start off the season; thanks to everyone who helped make it possible. Now that we've gotten a taste of competition (and motivation to beat a certain team from Edmonton), I'm looking forward to what the rest of the season has in store. 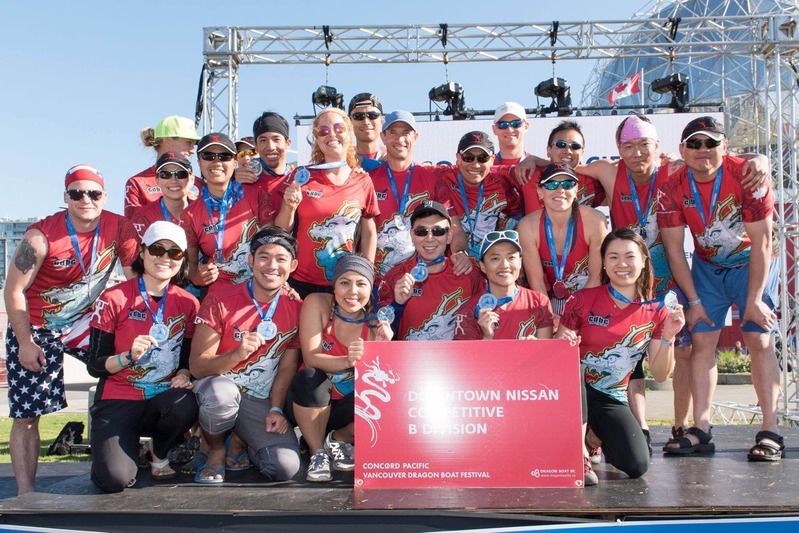 Copyright © 2011-2018, Calgary Dragonboat Club. All rights reserved.